Located in East Africa, Tanzania is known for its beautiful nature reserves and wildlife parks, including the Serengeti National Park, Mount Kilimanjaro, and one of the Seven Wonders of the World, the Ngorongoro Crater. It is one of the most culturally diverse countries on the African continent, with more than 158 distinct local languages spoken. While Tanzania has maintained a stable economy and political system for the past 30 years, the country faces significant health and social challenges. 75% of the population lives in rural areas, where adequate sanitation and drinking water remain inaccessible to many. Communicable diseases are common- water borne, airborne, vector borne, diarrheal, and sexually transmitted –all are linked to poverty and insufficient education. 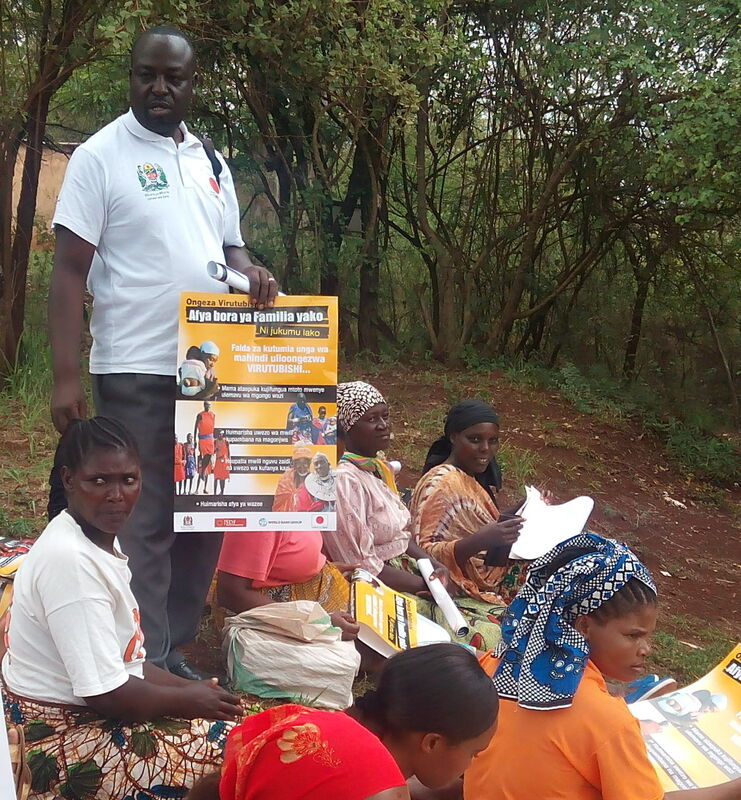 Health education outreach efforts and community mobilization campaigns have had success in rural Tanzania, and have led to results such as increased access to antiretroviral therapy. Travel to Arusha, in northern Tanzania, a city of approximately 2 million people. In this popular, bustling city and its surrounding communities, program participants will take part in clinical rotations through a regional referral hospital, at rural health centers, and through community-based public health initiatives. The majority of patients visiting public hospitals and health centers are from disadvantaged communities and face numerous barriers to accessing care. In addition to clinical rotations where they will shadow local healthcare professionals in their daily activities, participants will engage with a grassroots nonprofit organization, offering support and training to Maasai women's groups. Through their work, this NGO supports the women's groups in their efforts to provide community-based care and education for orphans in their community, which has been disproportionately affected by HIV. This program offers the unique opportunity to interact with health professionals at the regional, district, and rural levels. Learn about the social determinants of health and contribute alongside Tanzanians towards community-driven initiatives, both clinical and public-health focused. By learning from local experts, you will improve your understanding of how capacity building for women, nutrition, water sanitation, and agricultural initiatives contribute to improve socioeconomic and health outcomes of the local population. Enjoy weekly cultural and medical lectures and exciting weekend excursions led by CFHI’s international partners. Regional Referral Hospital- Rotate at the highest level health facility in the Arusha region, supporting a total of 14 hospitals, 4 designated council hospitals, 45 health centers and 262 dispensaries. The hospital has capacity for 500 beds. There are 4 clinical departments: Internal medicine, surgery, obstetrics and gynaecology, and paediatrics. Additional supporting units include ophthalmology, dental, radiology, mental health, anaesthesiology, physiotherapy, ICU, pharmacy and administration. The hospital is also a training institution for internship doctors, pharmacists, nurses and an approved field placement for national and international medical students. Public Hospital- Learn from local experts at a large public hospital that treats approximately 200 outpatients each day and has a 100 bed capacity for in-patients. Services offered include pharmaceutical, antenatal and postnatal care, deliveries, ultrasound, X-ray and other laboratory services, dental care, and eye operations. It has a HIV/AIDS counseling and treatment services center which operates 3 days a week and treats 80-150 patients, including children, with HIV/AIDS related complications. Uniquely, the hospital collaborates with 40 home-based community volunteers to ensure adherence to ARTs and DOTs within their respective communities. Rural Health Centers- Learn about the Rural Health Centers, which operate under local government authority and the ministry of health. As you rotate at these primary health facilities, you will understand how the Centers serve as the first referral center for patients and provide appropriate transport of patients to hospitals for more extreme cases. These facilities offer outpatient and in-patient services and provide preventive, curative and rehabilitative services, including maternity care, laboratory, dispensing of medication and mortuary services. Each health center provides care to approximately 50,000 people and supervises all dispensaries in the division. CFHI is considered a global health ethics leader. Therefore, CFHI programs uphold strict standards and comply with all local laws regarding student involvement in health settings. Your experience on the program depends on your previous clinical training (if applicable) and the relationship you build with your supervising preceptor. Above all, YOU are the most important factor in making the CFHI experience as fulfilling as possible by being respectful, culturally humble, inquisitive, and open to the wide variety of learning experiences which you will encounter. The republic of Tanzania was established in 1964 and gained independence from the British in 1961. Tanzanian culture is known for its warm hospitality, good humor, contagious smiles, and unique style of dress. The country boasts hundreds of attractions - 25% of Tanzania’s land is dedicated to national parks, including the Serengeti National Park, Africa’s largest nature reserve. Mount Kilimanjaro is situated in the northeast, Africa’s highest mountain peak. Africa’s largest lake, Lake Victoria, and deepest lake, Lake Tanganyika, are also both part of Tanzania. Arusha is a major international diplomatic hub, hosting the East African community and numerous United Nations offices, and is at the heart of Tanzania’s safari industry. Virtually everyone visiting Tanzania’s national parks will travel through town. Arusha sits snugly in a wide expanse of fertile volcanic land in the foothills of Mount Kilimanjaro’s younger brother, Mount Meru. Arusha is home to the National Natural History Museum, which contains exhibits on early man (it is said that the earliest human skull was found in Tanzania), plants and animals of the region, and the history of Arusha. The local cuisine consists of a blend of dishes from various parts of Tanzania coupled with global culinary traditions. Kiti moto (local pig prepared with vegetables) and Kuku choma (chicken) are very popular barbecue dishes and are typically served with pili pili (pepper). CFHI participants have free time during most evenings and weekends. They may choose to organize weekend trips to nearby destinations and take part in cultural activities offered in and around Arusha. Embrace all the city has to offer while immersing yourself in the rich Tanzanian culture, devouring delicious local cuisine, and experiencing the lively nightlife. Explore Arusha National Park and see giraffes, lions, buffaloes and various types of monkeys. Another worthwhile excursion is the Lake Duluti Forest Reserve, below the Serena Mountain Village, where you can stroll along the Lake’s shores or take a canoe trip and watch local fishermen at work. If you’re lucky enough, you may hear the haunting cry of the majestic fish eagle. Participants will stay in a well-furnished and comfortable house located in a small, very safe, and close-knit neighborhood. Located approximately 15 minutes from downtown Arusha, the house has a gated yard, a security guard, with an in-house cook and housecleaner. Two meals per day are provided in the house. Internet service, telephones, drinking water, and hot water are all included. Students will be picked up and dropped off for their clinical rotations and other program-related activities each day. CFHI welcomes anyone interested in and passionate about global health and medicine, offering an ideal program for students and non-students of all health disciplines. In particular, this program will focus on challenges faced in providing adequate medical care in both urban and rural settings, deepening an understanding of rural/urban divides. For more information, please read CFHI's general eligibility requirements. Tanzania is a multicultural and diverse country with approximately 120 different languages. The two official languages of Tanzania are Kiswahili and English. Over 90% of the Tanzanian population speaks Kiswahili and it is one of the primary languages of instruction. English is spoken by most professionals and used frequently in many business and academic settings. The CFHI Local Coordinator, Medical Director, and healthcare professionals at the various clinical and public health sites communicate effectively in English. However, you will find that daily communication amongst locals and community members will be in Kiswahili. Participants should arrive in Kilimanjaro International Airport in Tanzania on the program start date and will be picked up from the airport by the CFHI Local Coordinator or a CFHI representative and taken to their on-site lodging. Typically, a welcome orientation is arranged to take place on the following day. Visas are required for U.S. citizens engaging in any type of work with local NGOs or visiting healthcare facilities while in Tanzania. More information on travel and logistics will be provided by CFHI after acceptance into the program. A native of Tanzania’s Ngorongoro district in Arusha, Aloyce has extensive experience working with local communities and various NGOs and is cofounder of the Children Growth & Development Center. He completed his Bachelors degree in Health Service Management in Tanzania and his Master’s degree in Health Economics from the University of Kampala in Uganda. He currently works for the Public Health Department as Health Secretary in the Meru district. He speaks fluent English and has worked with international volunteers in the past. He enjoys introducing students to his country and helping them understand the culture in order to bridge the local community and international students. A father of two, he and his wife enjoy spending quality time with their children, traveling during the summer to the various wilderness parks in Tanzania, reading, keeping up with social media, and English soccer. "I completed an experience in Tanzania with CFHI in 2016 and everyday I am reminded of how my participation in this program was not only the best decision I have made for myself, but also my education and future in medicine." "I really enjoyed my hospital placements, and enjoyed shadowing in the surgical, medical, and pediatric units. 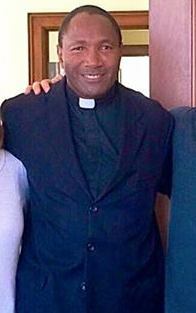 Father Faustine Mosha and Aloyce Koillah were both been kind, helpful, and welcoming, making the transition much easier. I thoroughly enjoyed the experience, and found it very fulfilling!"